The last conventional coasters were streamlined, engines-aft motor ships. 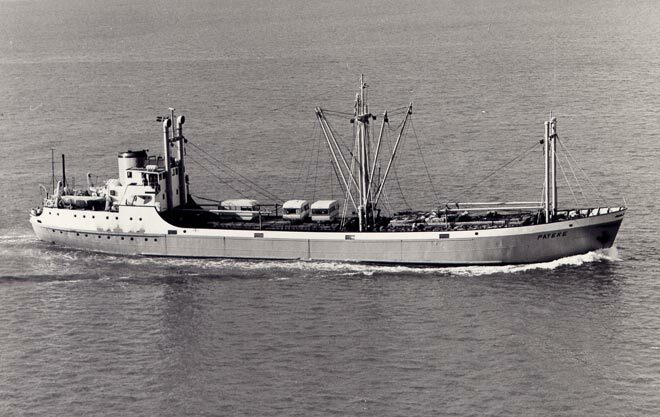 The 785-ton Pateke was built in the Netherlands in 1954 for the Union Steam Ship Company’s Napier subsidiary, Richardson and Company. For 18 years she ran between New Zealand’s two main islands, carrying up to 1,100 tonnes of general cargo. In the days before the Cook Strait rail ferries, coasters often also carried vehicles on deck, in this case holidaymakers’ caravans.